Legendary Italian director Michelangelo Antonioni casts a cool and dispassionate look at the lives of the super rich, in this extraordinary, original and influential piece of work. Stark, bleak and beautiful, L’Avventura looks exquisite – the incredible black and white photography having been transferred spectacularly onto this Blu-ray release. When a group of wealthy socialites take a yacht trip to an island, a young woman, Anna (Lea Massari) mysteriously vanishes, never to be seen again. In the immediate aftermath of the disappearance, her best friend, Claudia (Monica Vitti) and her lover Sandro (Gabriele Ferzetti) start seeing each other. Antonioni chooses to frame them in dislocating ways – off centre, too close or too far. They are never the focal point of the image. Like the spectre of Anna, they haunt the film rather than appear in it. The film doesn’t follow a usual narrative, eschewing plot and traditional character development, to instead focus on the existential despair of these bored, rich, beautiful people. 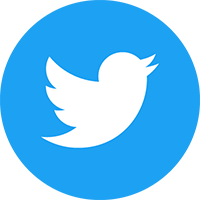 They are so detached from life, so bored of their decadent existence they feel nothing. For themselves, or for each other. They have everything but yearn for more. They look for that elusive “more” in each other and in casual sexual encounters, but they find nothing. This is not an easy film to connect with. I see it as a film to be studied and admired, rather than one to love. Is it a masterpiece, and a landmark of European art cinema? Yes, without a doubt. Does that make it an enjoyable way to spend two and a half hours? No, it doesn’t. As with all releases from Criterion, the supplementary materials are sensational. The main event is a documentary from 1966 profiling Antonioni, showing the director at work. There are three essays on the director, read by Jack Nicholson, his lead actor in The Passenger. 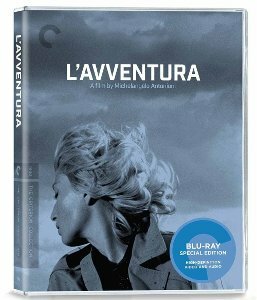 Filmmaker Olivier Assayas provides a three part analysis of L’Avventura, which was originally produced in 2004 for Éditions Montparnasse and reedited by the Criterion Collection. There is also the original trailer, and an audio commentary form film scholar Gene Youngblood.